If you’ve ever had blood drawn for testing, most of your results will come with a ‘reference range’ attached. The reference range allows doctors (usually) to compare your result with what is accepted as ‘normal’. Normal, as far as references ranges are concerned, usually encompass around 95 per cent of people. In other words, in order for a value to be deemed ‘low’ or ‘high’ it needs to be in the bottom or top 2.5 per cent of values respectively. In short, this means that reference values are set very wide. They are also utterly arbitrary. The practice of setting reference values in this way is down to convention. I was thinking about this when recently advising someone about her likely thyroid function. Usually, the hormone advised for screening thyroid function is TSH (thyroid stimulating hormone). This hormone, secreted by the pituitary gland, tends to go up when the thyroid gland is failing (low thyroid function – hypothyroidism) and down when the thyroid is overactive (hyperthyroidism). However, for a variety of reasons, some of which I detail here, TSH levels are not utterly reliable for assessing thyroid function. For one thing, TSH references are markedly different between laboratories. For example, this particular lady I was advising had had two previous tests at different labs, one of which quoted an upper limit of TSH of 5.6 mIU/L, while the other quoted a value of 4.0. In the US, the convention is now to regard anything over 3.04 as ‘raised’. Whether someone ends up with a diagnosis and treatment can depend, therefore, at least to some degree on where their blood was analysed. You’ll notice there’s a general tend here for ‘normal’ values to rise as people age. The authors make a call for age-specific references to be set in order to “prevent significant misclassifications of patients with abnormal TSH levels”. In other words, the older people get, the higher their TSH values should be allowed to rise before they are deemed to be suffering from low thyroid function. As we age, there is generally increased risk that certain organs in the body, including the thyroid, will decline in function. Higher TSH values generally reflect worsened thyroid function. Does the idea of setting age-specific TSH values not just open up the possibility that elderly individuals with low thyroid function are more likely to be regarded as ‘normal’? I think it does. Some years ago I was talking to clinical chemist about reference ranges regarding the adrenal hormone DHEA (adequate levels of which seem to be very important for general health and wellbeing). The lab where he works applies reference ranges that are age-specific (low reference ranges for older people). I asked him about the wisdom of this, and he commented (and I paraphrase): “I suppose the question is whether a 70-year-old should ideally have the DHEA levels of a typical 70-year-old, or perhaps a typical 30-year-old.” My suspicion is that shooting for levels seen in younger, healthier, more vibrant individuals is better. Right there and then it struck me what a nonsense reference values can be, and how slavish adherence to them can be to people’s detriment. Para 4, first sentence. Should be, I think, “utterly UNreliable”. Makes sense in the context. An interesting post, as always, John. One area where reference ranges aren’t used is in measuring cholesterol. If the same criteria was used, far fewer statins would be prescribed. Furthermore there seems to be uncertainly amongst many doctors as to whether cholesterol tests should be done after a fast. Most UK tests calculate LDL using the friedewald formula, rather than measuring cholesterol sub fractions or even measuring LDL directly. A cynic mught say that the tests were designed in order to justify prescribing statins, with targets being continued to be lowered to ensure more and more people are targeted for cholesterol lovering treatment. A better apporach might be to focus on HDL levels and triglycerides. Aiming for higher HDL (increased intake of saturated fats and more exercise) and lower trigllycerides (a lower carb intake). I presume TSH is measured rather than T3 or T4 as its a cheaper test to peform? Have you noticed an increase in TSH where patients switch to a low or very low carb diet? And do you recommend that patients ensure their diet contains adequate levels of iodine. There sems to be very little knowledge about idoing intake amongst the general UK population. Although the general increase in hypothyriodism and the limited studies undertaken seem to suggest that low dietary intake of iodine is widespread. Another suggestion I have come across is that high intake of polyunsaturated fats somehow damage the thyroid gland? Anyway justa few thoughts/observations to throw in to the pot. PS – how are your vitamin D levels progressing? Have you reached an optimum level yet? Since 2005 I have been having regular blood tests to monitor aplastic anaemia. I’ve never had any symptoms, yet I’ve had more consultations than I can count, and even a bone marrow biopsy (ouch.) All based on blood counts at the lower end of normal. At the time of my first test I was already eating very little bread and dairy, and when I went fully ‘Paleo’ in 2007, I started to question the whole blood counts thing. What if the normal ranges are all out of whack because of what the general population eats? Then, after an epic non-Paleo binge in 2010, I got what my haematologist called “the best numbers you’ve had”. In particular, neutrophils and white cells had ‘improved’, reaching 6.7 and 7.7 instead of their usual 2-3 and 3-4. Since then I have been back to my regular numbers and the seemingly pointless conversations about all the unpleasant treatment they could apply if I get symptoms. I’ve heard Rob Wolfe talk about the activation of neutrophils by gluten and the fact that red blood cells live longer with a low glycemic load diet. This seems to validate my hypothesis on the effect of diet on blood counts. Thanks Michael – fixed now. Thyroid reference ranges are calculated based on a population sample with (inter alia) no evidence of autoimmune thyroid disease (AITD) (i.e. they blood tested negative for thyroid antibodies): http://bit.ly/l3O93x. However, there two problems: ~20% of people with AITD blood test negative; and, inter-individual differences in thyroid hormone levels are much larger than intra-individual differences (i.e. the calculated sample range is much wider than the normal range observed in a particular individual –see Andersen: http://bit.ly/ldsC4B ). Carole Spencer of AACC addresses these problems in this presentation: http://bit.ly/joHN7M and recommends the introduction of an empiric TSH upper limit of 2.5. 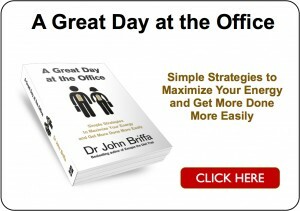 This being supported by Leonard Wartofsky (now Editor-In-Chief of JCEM): http://bit.ly/ieP6Zk. However, the British Thyroid Association recommends that LT4 treatment should only start at TSH >10 (unless the patient is seeking pregnancy or having goiter): http://bit.ly/jgQzlW. Whereas, yet another approach was recommended in this consensus statement by The Endocrine Society et al: http://bit.ly/kP7LGK. Another problem with the way the TSH results are (mis)used is that current test results are not typically compared with older TSH results to see if “normal” TSH results are trending towards thyroid dysfunction. In my case, there was a steady increase in TSH results over a decade that correlated quite well with my increasing hypothyroidism symptoms as well as with my changes in cholesterol panel results. I now make sure to receive copies of ALL my lab results (not just a call from the nurse that everything was OK or not), and I chart my results on a graph to compare with previous tests to see the trends. In fact, I use an online lab (MyMedLab.com) to order my thyroid tests now. MML includes a graphing function with my lab results so I don’t have to make my own graphs. You haven’t addressed the subtleties of “normal” versus “desirable” ranges – That’s another dimension often misunderstood by the public. How do the labs come up with the reference levels? do they test healthy individuals to get a ‘normal’ population range? or is it based on all of the blood tests they do on a daily basis – ill people or people with a problem needing investigation??? 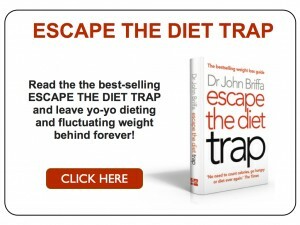 I have just ordered ‘Escape the diet trap’ from Amazon as it has lots of rave reviews many of which are written by people who have lost weight since applying the principles outlined in the book. I am 56 years old, female, post menopausal and diagnosed a year ago with hypothyroidism so I am just wondering whether the book will still be of help as ‘hypo’ would appear to hinder weight loss?